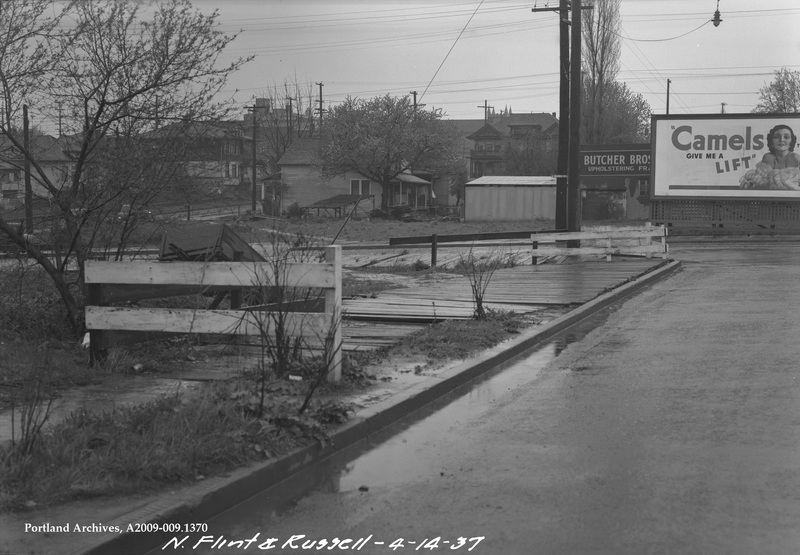 N Flint Avenue and N Russell Street looking north, 1937. 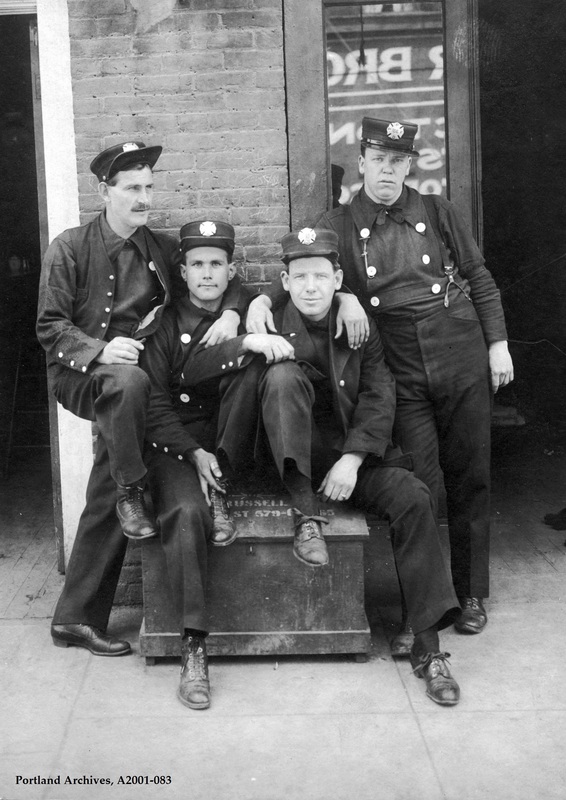 City of Portland (OR) Archives, A2009-009.1370. 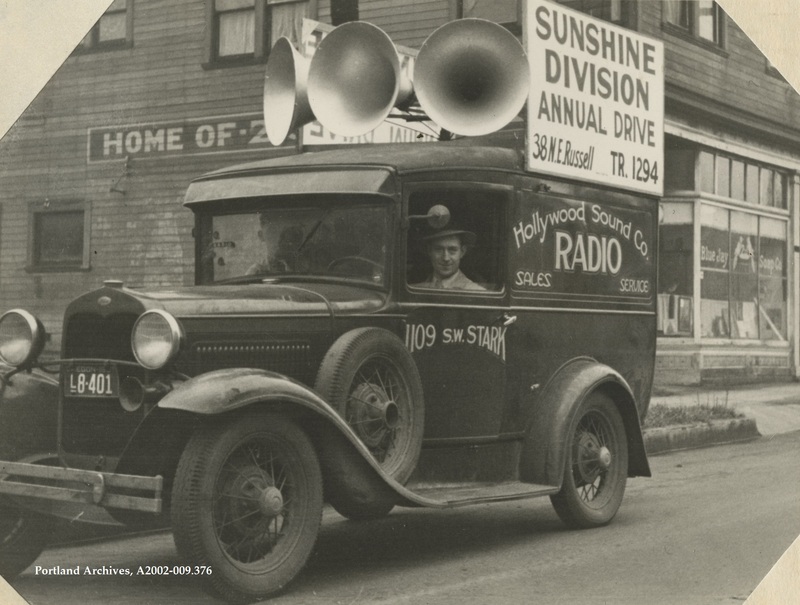 Hollywood Sound Co. Radio car with the Sunshine Division Annual Drive sign and loud speakers, 1939. 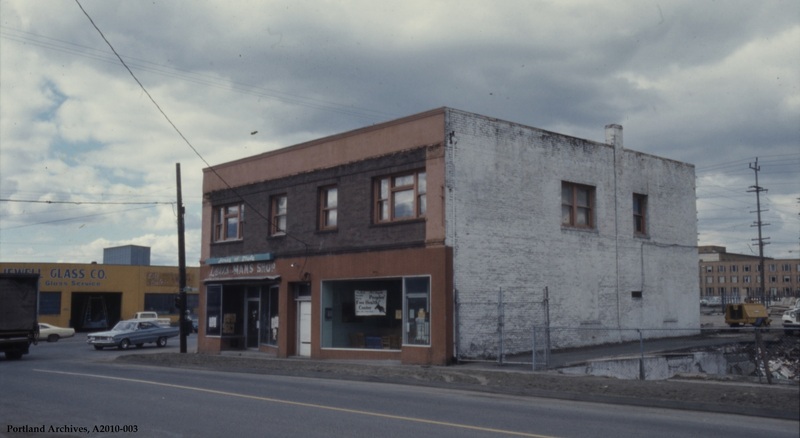 The car is near the Blue Jay Soap Co., which was located at 201 NE Russell Street according to the 1939 Polk Directory. 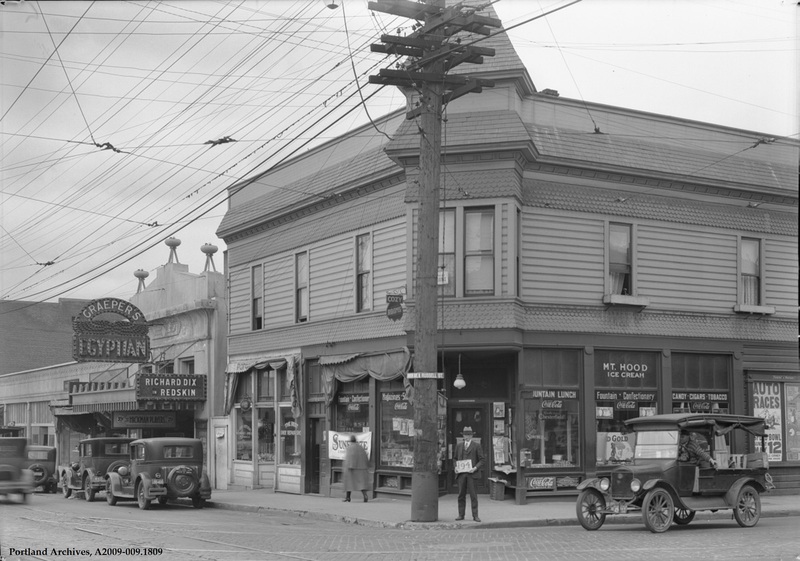 A number man standing on the corner of NE Union Avenue [Martin Luther King Boulevard] and NE Russell Street, 1929. Workers laying tracks during the widening project of NE Union Avenue (Martin Luther King Jr. Boulevard). 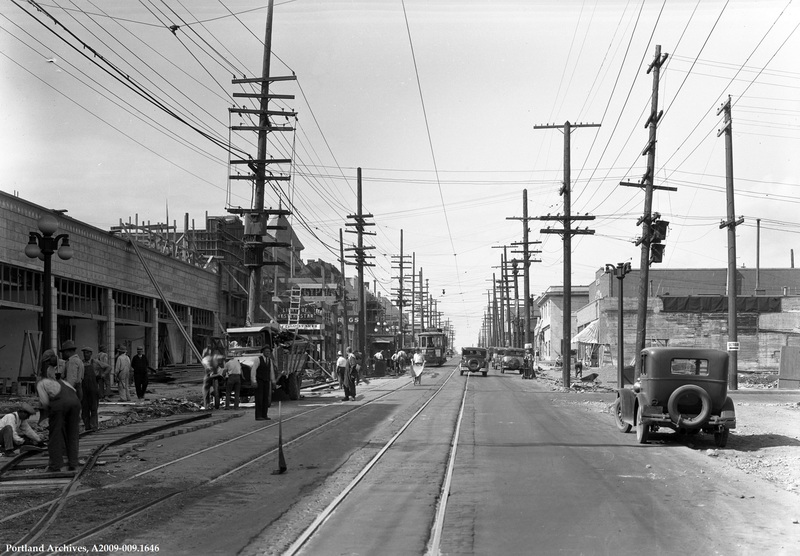 This view is near NE Russell Street, 1933. Some of the business owners in this part of the project area lost as much as ten feet from the front of their buildings and re-construction work can be seen in this image. 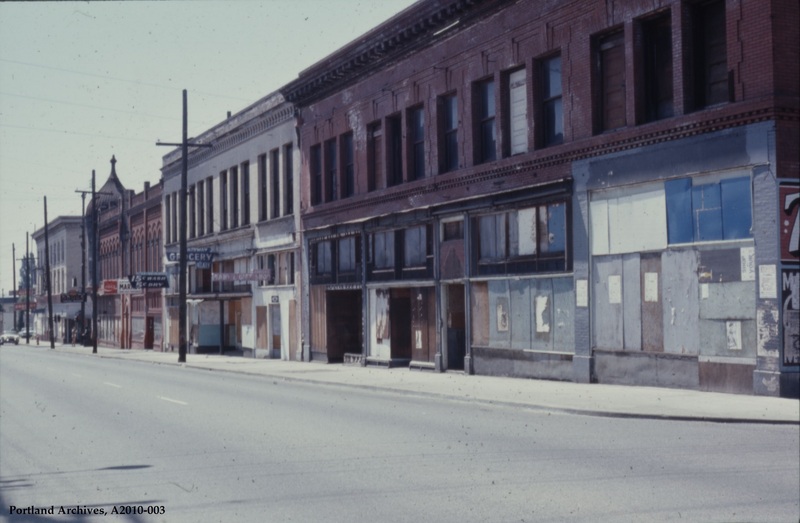 Commercial properties on N Williams Avenue and N Russell Street, 1971.